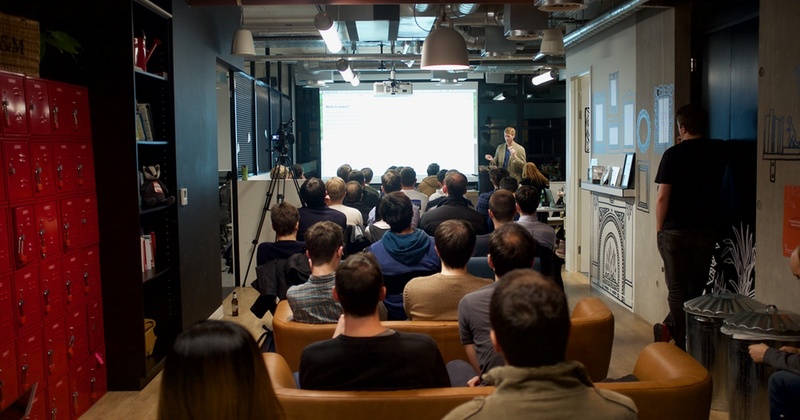 Last Wednesday, we hosted the first meetup under our new tech community brand welovetech.london. The idea is to host regular meetups, each with a different theme. The theme might be a particular framework or language or it could be something broader like “music and tech”. The first meetup was focused around the distributed web. A full house at Red Badger HQ watched a talk from Paul Frazee who had travelled all the way over from Texas for the occasion. Paul is the creator of Beaker Browser, an experimental peer to peer web browser. Beaker Browser uses the Dat protocol to host sites from users devices rather than a centralised server. Paul spoke about how Beaker allows us to move away from the closed infrastructure of the current web, and towards a peer to peer network where users remain in control of their own data.